As change agents and responsible creators, we are passionate about our calling to pursue ways in which we can drive beneficial change in the world. A different age is upon us: it is characterized by passionate connectivity to purpose, an enlightened service approach, and the drive to empower all people through solutions that make a difference beyond business as usual. This work fulfills us, propels the missions of the organizations we serve, and elevates the collective consciousness of the planet. "IT STARTS WITH INSPIRED DYNAMIC THINKING." Our global network of industry experts and gifted, dynamic thinkers powers our work through big-picture thinking that reinvents how solutions have been generated and realized in the past. Each request requires a fresh perspective. With years of collective expertise in entrepreneurial and agency environments, we are masters at generating smart ideas, and creating solutions that make a difference in what matters most to you. Synthesizing people, process and technology, our solutions manifest as practical, transformational applications for solving the world’s biggest challenges. We apply dynamic thinking to unleash solution potential. 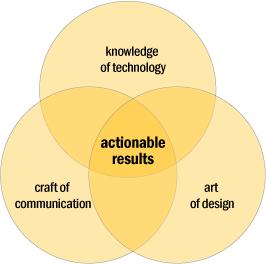 We combine the art of design, craft of communication and knowledge of technology to turn ideas into reality and activate the new ways to maximize global impact. "IT IS REALIZED THROUGH IMAGINATIVE PROBLEM-SOLVING." Voice 4 Impact understands how the combination of forensic expertise, data analysis, social networks, communications and humanitarian response strategies can affect immediate, dramatic & sustainable change to a global problem that is currently not being addressed. Too much data, too little, too late: Big Data and Artificial Intelligence are for most people intimidating and nebulous terms. Our world is creating too much data with too little resources to analyse, in too little time to deliver actionable insights. The Intelligent Data Ecosystem® (I.D.Eco) provides a holistic view of the data, increases velocity of insights and delivers actionable intelligence in real-time. I.D.Eco is a cloud-based solution for harvesting public data from the Internet. Information is gathered, broken down and distilled into actionable intelligence. For the first time, insights can be shared and collaborated across multiple agencies. As a result, valuable resources and time are no longer waisted, and lives are saved. The I.D.Eco solution interprets the messages of potentially dangerous influencers and identifies which hot-button topics increase tensions and cause violent behavior. The inherent anonymity of online interaction combined with the ‘no boundaries’ nature of social media communication increases susceptibility to online radicalization, recruitment or intimidation. Understanding extremist language and ideology is key to targeting dangerous messaging and the groups who share similar viewpoints. I.D.Eco monitors the language propagated by hate groups, radical movements and local networks such as violent gangs, and identifies the subtle but insidious nuances that negatively affect the mental health and well being of online users. This works two-fold, proactively identifying threats to public safety and empowering officials with information they need to intervene.